An exciting phrase is appearing more often in both the spoken and written word surrounding sport: physical literacy. This isn’t a new way of health experts telling us we should move more. Physical literacy goes far deeper than that. In a nutshell, physical literacy refers to the ability to perform core movements confidently and competently (think hopping, skipping and jumping). By developing these skills at an early stage, children are far more likely to pursue active lifestyles into adulthood and participate effectively in a variety of sports. In our opinion, physical literacy is just as important for youngsters as learning to read and write. Why are we only talking about physical literacy now? The concept of physical literacy isn’t a new one – but it is something that key figures in the sports industry are starting to focus on more. We couldn’t be more pleased: at ETKO Sports Academy our stated goal has always been to encourage others to develop a lifelong love of fitness. At the heart of all our classes and coached sessions is ETKO Sports Academy’s unique fundamental movement and basic sport skills programme©. The clue is in the name. 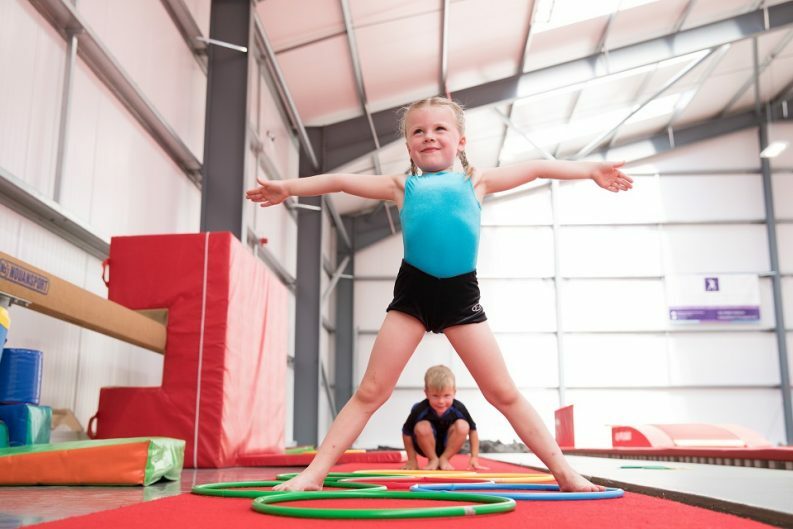 As you might imagine, the programme focuses on helping our youngest members develop ‘fitness fundamentals’ incorporating strength, movement and balance. By mastering these common core skills, children are far more likely to thrive in any chosen sporting pursuit. Importantly, they are also more likely to exercise safely with reduced risk of injury. How can you help your child to become physically literate? Reading this blog post is a great start; check out the links at the end of this article too. Starting early is something that we’re also passionate about – as reflected in our comprehensive pre-school programme, incorporating baby gym, adult and toddler and gym tots sessions. Parents and carers can also support their child’s physical literacy by encouraging them to practise skills in day-to-day life. We provide our members with regular updates about the shapes and movements their children have been learning in class – or why not ask what your child has been up to today? Perhaps the most important thing that family members can do is support one another. Share the joy of exercise and celebrate individual progression, rather than worrying about what your child’s peers may be doing. Each fitness journey is unique – and it’s all the more special for being so. Keen to learn more about ETKO Sports Academy’s fundamental movement and basic sport skills programme©? Email admin@etkosportsacademy.co.uk to discover which of our classes or coached sessions might suit your family.